I literally cannot wrap my mind around the fact that it’s 2019…and that January 2019 is almost over! We have been spending January prepping and planning away for our spring weddings. Our first wedding of the year is in February, and we can’t wait to get back at it! 2019 will be a busy one- we are fully booked wedding wise. We also have a couple styled shoots in the works for early 2019, which we are so excited about! We’re looking forward to bringing in lots of new and exciting elements into weddings we’re bringing to life this year. We are working on pulling inspiration from lots of unique places- personally, I’m getting a lot out of looking through coffee table books showcasing unique interior spaces, as well as viewing different art installations. Each month, I will be working on posting two blog posts. They will vary from month to month, but one thing that will be consistent is an inspiration post. I personally love see where other people are currently drawing inspiration, and I’d love to share with you where we are finding it! We also are looking forward to growing the other services we offer in 2019. I’ve given Izzi the reigns on getting the interior styling side of things up and running, while I am focusing more on the wedding aspect- of course they both will overlap too, but we found that it typically works better if one person takes the lead on each thing. We also want to grow our offering of Design Board Services. For each planning or design client we work with, we create a design board. It pulls in layouts, inspiration, textures…all the details you need to pull off your vision. While we offer this to our clients that we work with directly, we also are wanting to offer this as a stand alone service that anyone, anywhere could hire us for. We’re also really looking forward to starting to work out of a unique co-working space where we can meet with clients. While my home office has been great, it’s not somewhere I would bring clients, and I also want to start being more intentional in separating my work and home life. 2019 will be full of lots of new and exciting things. Thank you for following along with us and believing and us. We can’t wait to see where this year takes us and how it grows us! See some images below that are inspiring us this week. p.s. Let me know if you know any of the photographers or artist these images came from- couldn’t find the credits on Pinterest! This is one of my favorite interior images of late. 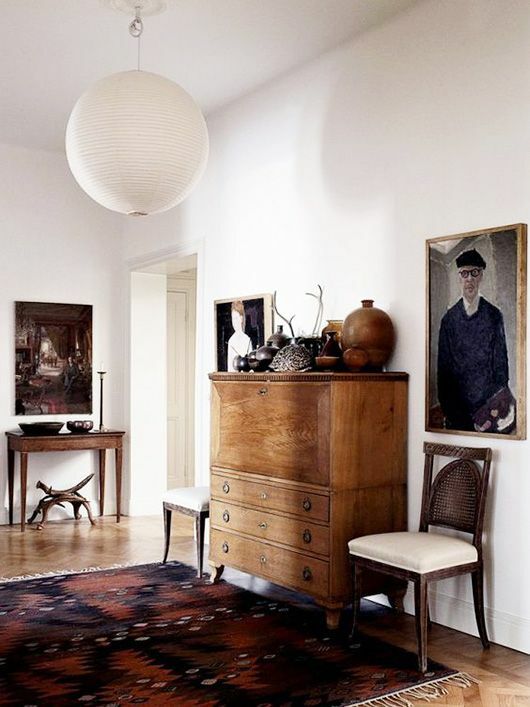 I love how the base of the room is neutrals, but touches of color are brought in through the art and the rug. I’m a sucker for an antique portrait. I want to fill my house full of them. This is my go to color palette currently. I think if I was planning a wedding for myself current day, I would draw a lot of inspiration from this color palette. I’ve been loving this image for a while now. I wish I could get this pattern made into a quilt or mud cloth that I could put at the foot of my bed. This is just too dreamy not to share. What a gorgeous floral install. This camel-y, tamarind color is a current favorite. I love the airiness of this image and the texture of the silk. Another lovely floral install- I’d love to do something like this for the right wedding client. 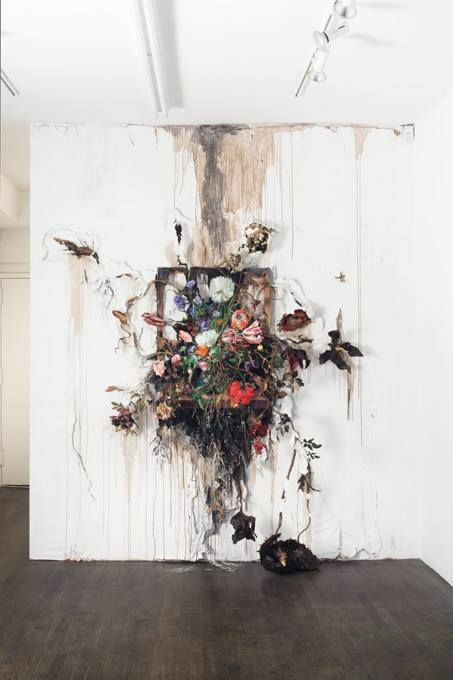 A frame mounted on the wall with florals growing out of it. Always inspired by shadows… this shot is particularly captivating.